This year, Border Patrol agents have rescued 323 people in southern Arizona the majority of who are undocumented immigrants in the desert who run into trouble after crossing the border. (Photo by Chloe Nordquist/Cronkite News). 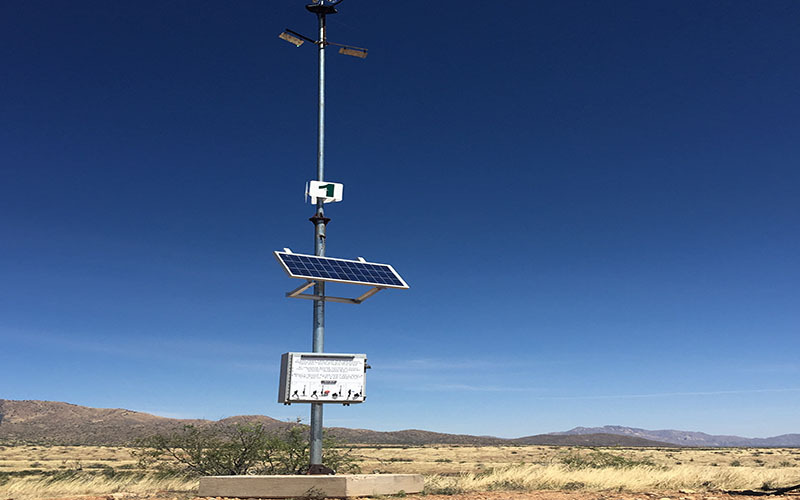 Border Patrol has added five solar-powered phones to some rescue beacons to ensure migrants’ safety. (Photo by Chloe Nordquist/Cronkite News). There are 32 beacon towers, equipped with flashing lights that can be seen up to 10 miles away and include an emergency button people in distress can use to call for help. (Photo by Chloe Nordquist/Cronkite News). The Tucson Sector Border Patrol covers Arizona from New Mexico to Yuma County — a total of 262 miles. (Photo by Chloe Nordquist/Cronkite News). 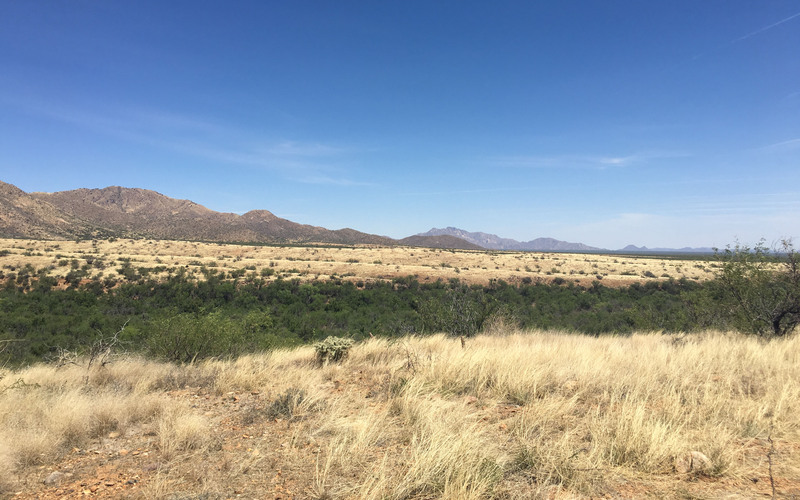 A Black Hawk helicopter buzzed through the sky over the Sonoran landscape and hovered over a spot where Border Patrol agents rappelled down to rescue an injured migrant. It was all part of a demonstration to show the rugged conditions and effort to save lives. So far this year, Border Patrol agents have rescued 323 people in southern Arizona, mostly undocumented immigrants in the desert who run into trouble after crossing the border. Agents rescued nearly 800 people last year. But for some, it’s too late. Sixty-three undocumented immigrants died in the desert in Arizona in 2015. The Tucson Sector covers Arizona from New Mexico to Yuma County — a total of 262 miles. Approximately 4,200 agents work at eight stations in the region, according to the U.S. Customs and Border Protection website. Search-and-rescue organizations like Aguilas Del Desierto Inc. help find people who are lost or track down the bodies of those who die in the desert. 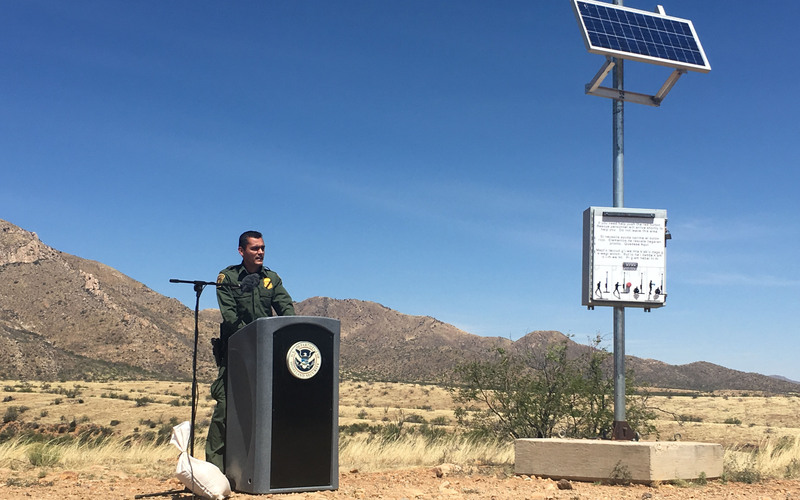 Border Patrol has ramped up lifesaving measures in southern Arizona. The agency has added five solar-powered phones to some rescue beacons. The 32 beacon towers, equipped with flashing lights, can be seen up to 10 miles away and include an emergency button people in distress can use to call for help. Border Patrol also collaborates with local agencies to respond more effectively to 911 calls. A 911 phone was integrated into a joint intelligence operation center to ensure multiple agencies hear a distress call. 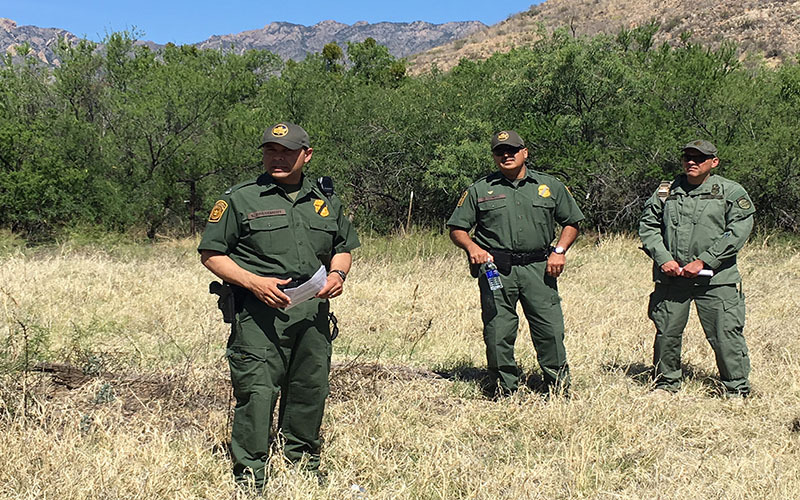 “About 70 percent of the calls that we get in this office are people that realize if they continue, they’re going to perish,” said Tucson Border Patrol Acting Operations Officer Mario Agundez. A Missing Migrant Team was announced in March to help families find loved ones who disappeared trying to cross the border illegally. “We still have those who go missing or perish,” Agundez said.